I recently attended the The Hollywood Post Alliance (HPA) panel discussion on the trend towards on-set dailies. The discussion centered on the use of on-set dailies, some of the broad workflows, and their cost benefit. Panelists included (in order of appearance): Richard Winnie, Vice President of Post Production at Universal Television and Universal Television Cable; Gigi Coello-Bannon, Supervising Producer of Criminal Minds; Joe Fineman, Executive Post Consultant; Arthur Forney, Co-Executive Producer of Law & Order branded series; and Curtis Clark, member of the American Society of Cinematographers and chairman of the ASC Technology Committee. Richard Winnie kicked off discussing the landscape of choices we have for dailies workflows. Are you on a stage? Are you on location? Who is your DP? What camera are they using? 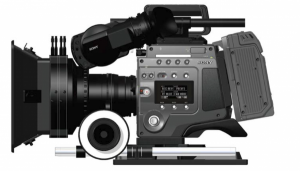 Does the DP feel comfortable working with a DIT? Who is the post house and what is the editing system? These questions can shape a production’s workflow as they move from principal photography to post production. Mr. Winnie went on to describe that as cameras improve and more cinematographers trust what they’re getting from these cameras that he sees some have move away from on-set color grading. Some productions have moved back to using LUT boxes and simple LUTs to feed video villages. He did champion primary color grading; those higher up in the food chain continue to feel uneasy about seeing low contrast log footage from camera. 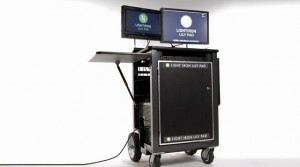 With dailies becoming easier to produce, the discussion shifted to the debate between having an in-house lab vs. a third-party service: having to invest and trust an in-house engineering staff to solve workflow issues or craft custom tools, having the hardware in place for proper backup and delivery of footage, and so on. Panelist Gigi Coello-Bannon described her successful use of on-set dailies for Criminal Minds as they transitioned to the file-based RED Epic from a previous tape-based system using Light Iron’s Lilypad system. By moving the process in-house she noted a saving of 40 to 50* per episode on third-party lab fees (Ed. note: it was never made clear if this is $40,000-50,000 or 40-50%). The Criminal Mind’s workflow was surprisingly straightforward. The show shoots 4K on the RED Epic and is then processed on the Lilypad where the DIT syncs sound and sets a LUT. 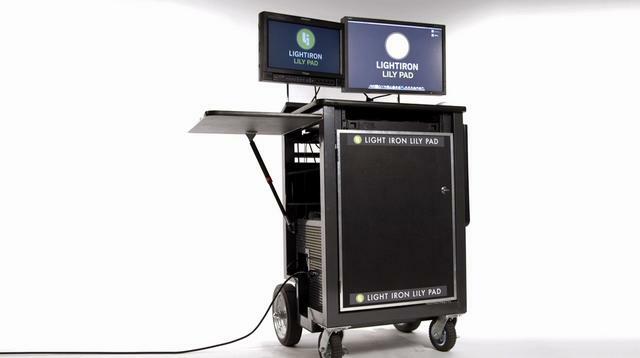 The files are then given to the post department who processes the footage with Light Iron’s Outpost system. Editorial processes DNxHD 175, DNxHD 36, ProRes, and h.264 versions of all the footage from there. After editorial backs up footage via LTO tape, Ms. Coello-Bannon mentioned that editorial processed a DNxHD version of the final, color graded, edit with footage handles on a normal external drive so they can easily pull footage for promos and highlights in the future. Panelist Joe Fineman took the microphone next to talk about how he handles “snowflake” (unique) workflows. Features introduce a challenge because the budget, Executive Producers, Producer, Director, and editorial can all place restrictions on who their preferred vendor is. This causes editorial to process many types of video files but he notes that, in general, workflows are easier because VFX and other vendors are flexible about what file types they accept. Panelist Arthur Forney, like Ms. Coello-Bannon, also described his production’s move to on-set dailies using Fotokem’s nextLAB. The move, he says, saves production upwards of $30,000 an episode. Being able to process dailies on set has allowed Law & Order to compress their post schedule on each episode; an average schedule of 17 days along with one noted episode completed 6 days. While the post process is complicated by the fact that footage has to be flown from the east coast to Los Angeles for editorial, Mr. Forney commented that on-set dailies has allowed production to shoot something in the morning in New York and have it edited and in the audio dubbing studio that evening in Los Angeles. Speed, efficiency, and ease of use is the trend of the day. Lastly, there was Panelist Curtis Clark, ASC, who spoke relatively briefly. He described his personal experience moving from film to digital and how uneasy and restricted he felt by shooting Rec. 709. With the new generation of cameras like the Arri Alexa, RED Epic, and the more noted Sony F65, Mr. Clark expressed that digital was finally moving within the quality realm of film. Mr. Clark also mentioned that he is hopeful about OpenEXR files with ACES color gaining ground as a format for color flexibility in post. The panel discussion was informative about the considerations around on-set dailies and hopefully there will be a followup panel to discuss some of the software available like Adobe Speedgrade, Blackmagic Resolve, and Assimilate Scratch Lab.